Hours: Mon.-Thurs. 9 a.m.-10 p.m.; Fri.-Sat. 9 a.m.-10:45 p.m.; Sun. 10 a.m.-10 p.m. The shop has a large selection of new and used books, as well as magazines, cards, and journals. 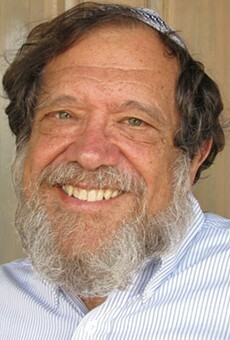 Rabbi Michael Lerner lays out a new plan for Middle East peace.